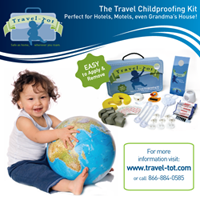 Travel-Tot: Infant Swim Resource: What Do You Think? Infant Swim Resource: What Do You Think? If you haven't already seen it on Facebook or another social media site, below is a promotional video for Infant Swim Resource (ISR), a company that offers what they describe as "survival swimming lessons for infants and young children." The video is compelling and demonstrates real-life instances of young children falling into water and using the skills they learned via this method to keep afloat and call for help. But while some parents swear by the technique, others call the method too harsh and aggressive and suggest that it may lull parents into believing that their children are "drown-proof." We want to know: what do you think? Disclaimer: Travel-Tot, LLC does not endorse Infant Swim Resource's techniques and has not been compensated in any way for mentioning Infant Swim Resources. The video contained herein is the property of Swim Resources. 5 Fantastic National Parks to See With Your Kids! Great Camping Tips from 4Nannies.com! Get the "411" On Safety Deals!